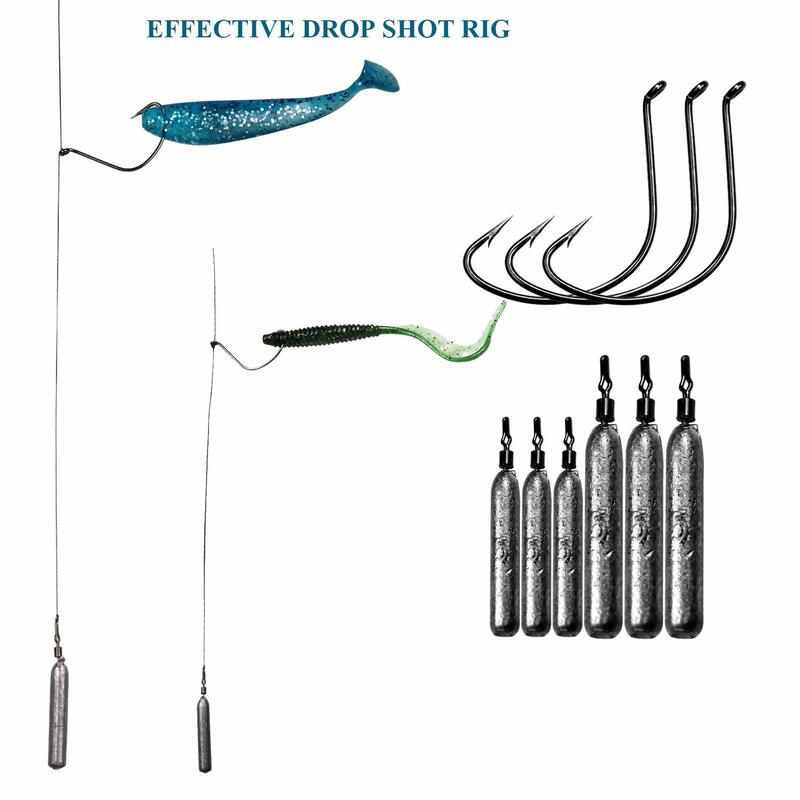 Wonderful Drop Shot Rig Set for your fishing trips.Simply to use and effective. Make drop-shotting fun and easy! 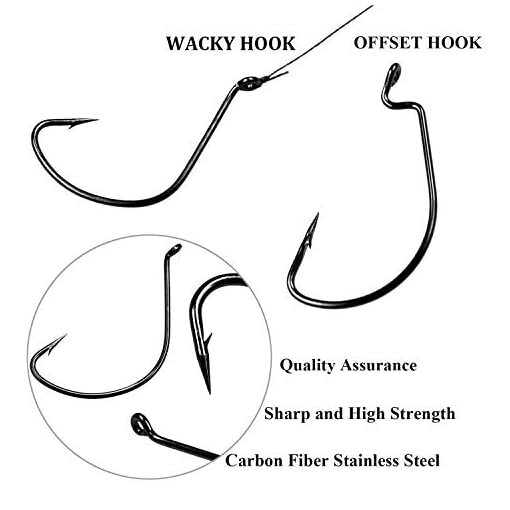 EFFECTIVE & DONOT GET SNAGGED: Fishing Weight’s shape allows for a smooth retrieval in all bottom environments. Work great and come through rocks and wood without snagging easily. This is an excellent technique for fishing. Simply to use and effective. Make drop-shotting fun and easy. 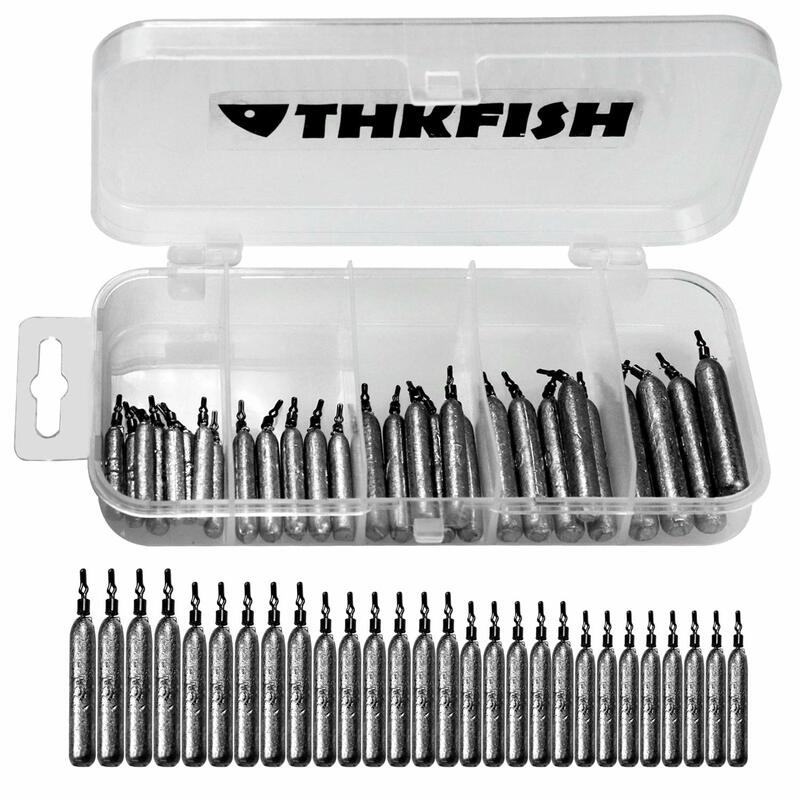 SLENDER DROP SHOT WEIGHTS: Slender weights design makes for quiet entry when casting. 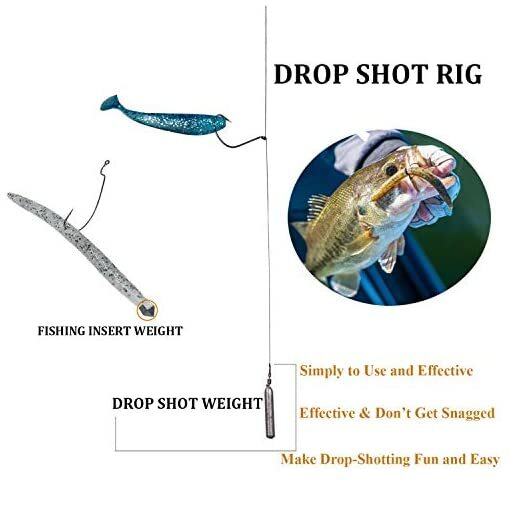 Drop shot weights are designed for drop shot fishing. These weights work great in the rocks. The weight is dropped vertically to the bottom and the bait is lightly shaken to attract attention. Light line and spinning equipment is preferred. 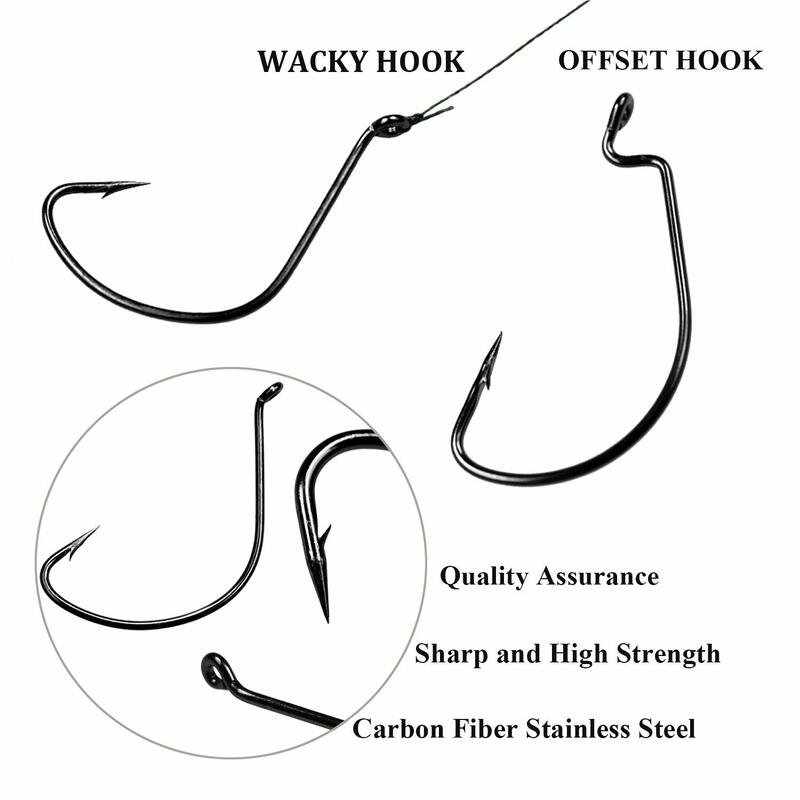 SHARP WACKY & OFFSET HOOKS : Extremely sharp hooks and high strength. Curved shank and a wide-gap design, prefect for Drop Shot Rig . 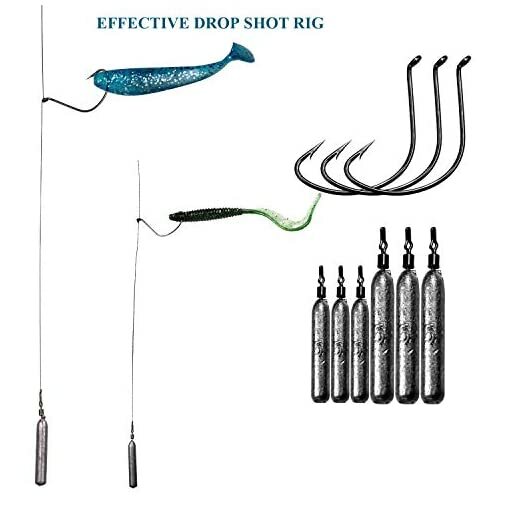 Swivel helps avoid line twist and super fast to put on just peg on your line no tying required. 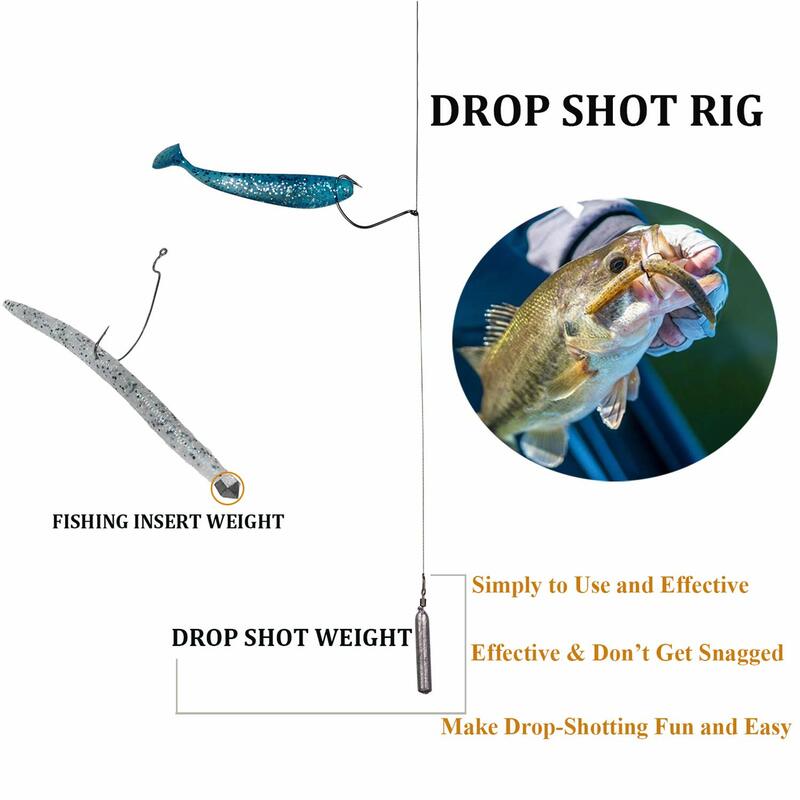 Drop shot fishing is excellent for pike and bass and crappie. ENVIRONMENTALLY FRIENDLY :Made of high quality! Environmentally safe. Material: Lead & Stainless Steel. 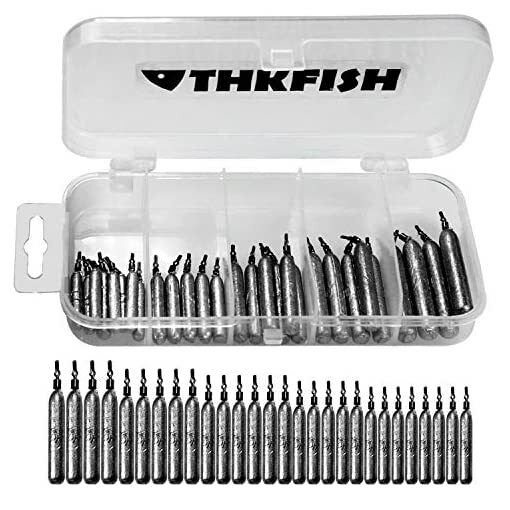 There are two choices: 28pcs Fishing Drop Shot Weights (Total 246g/8.67oz), 103pcs Drop Shot Rig Tackle Box (Total 338g/11.92oz). You could choose what you like. 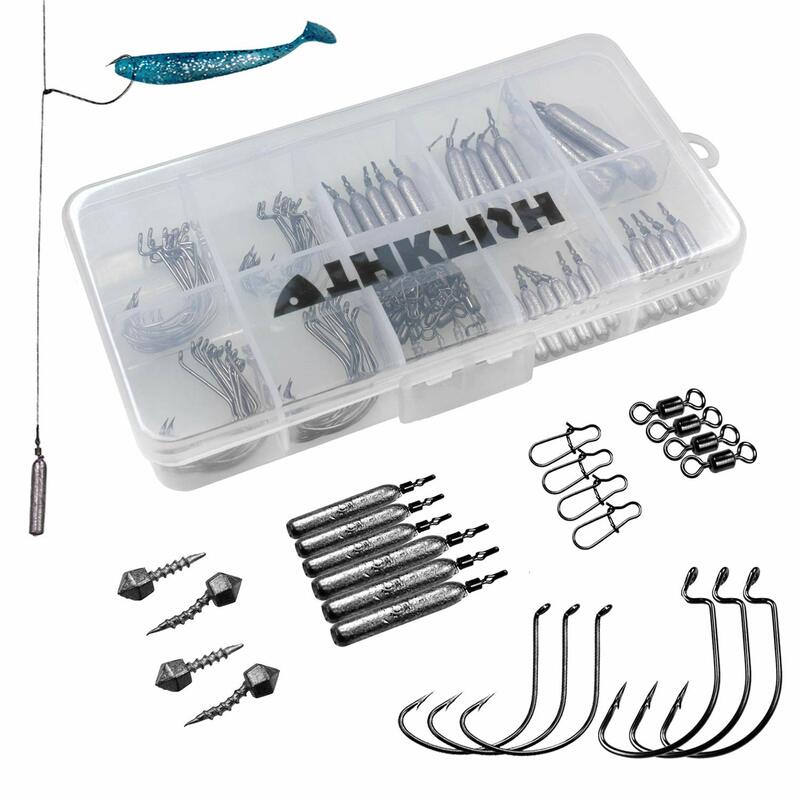 BUY WITH CONFIDENCE: Wonderful set for your fishing trips. More detail about fishing weight kit , please see the picture and the description. 24h friendly customer service and email support. If you have any problem, please contact our customer support and we will reply you within 24 hours.